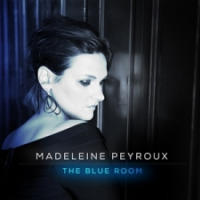 Madeleine Peyroux [pronounced like the country Peru] was born in Athens, Georgia, she grew up between Brooklyn, Southern California and Paris, though it was in the City of Light where she found her voice. As a teen she was drawn to street music, and in 1989 she started to perform with a group of buskers. She then joined the Lost Wandering Blues & Jazz Band, becoming the only female in the group, which toured around Europe for several years. Madeleine burst onto the recording scene in 1996, with her stunning debut album “Dreamland.” Madeleine was greeted with a veritable torrent of gushing reviews. Most raved about her smoke-and-whiskey vocals, often comparing her to the late, great Billie Holiday. Others wondered how someone so young could perform classic songs by Holiday, Bessie Smith and Patsy Cline so convincingly as to make them sound like her own. ”Careless Love,” on Rounder Records released in 2004, eight years after the release of “Dreamland.” Waiting that long to release her sophomore album is admittedly not a typical career move, but then Madeleine is not a typical artist. Madeleine spent much of the time between “Dreamland” and “Careless Love,” out of the public eye. But she never stopped singing, returning to her busking roots with street performances and club dates around the world from Los Angeles (to New Orleans to New York City) to Western Europe before being signed by Rounder Records in 2003. ”Careless Love,” was a worldwide sales and critical success, putting Madeleine back on fame's fast track. Madeleine's followed up “Careless Love,” with “Half the Perfect World,” released Sept. 2006, again pairing Madeleine and producer Larry Klein. 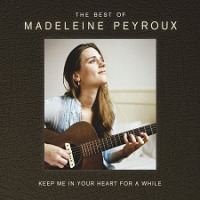 The new record builds on and expands on the direction set with her previous work, featuring a broad range of songwriters including Madeleine herself. 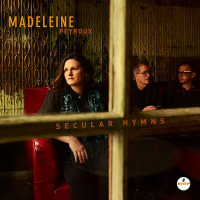 Indeed, Peyroux's vocals bring such insight into both covers and originals on “Half the Perfect World,” that a theme emerges as many of the albums songs explore romantic relationships from a distinctly female perspective. With the 2009 release of her third album in four years Bare Bones is both an extension of the currents of 2004’s Careless Love and 2006’s Half the Perfect World and a bold step into previously unexplored psychological terrain. 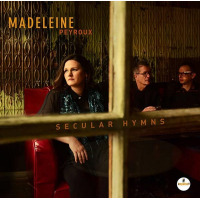 Produced, like its two predecessors, by Larry Klein, this fluid and enthralling new work, is Peyroux’s most personal yet, hardly surprising considering she had a hand in writing each of the 11 songs, marking the fulfillment of a lifelong dream. Madeleine Peyroux Unveils Compelling New Album "Standing On The Rooftop"
All About Jazz musician pages are maintained by musicians, publicists and trusted members like you. Interested? Tell us why you would like to improve the Madeleine Peyroux musician page.